The article considers a Gaussian model with the mean and the variance modeled flexibly as functions of the independent variables. The estimation is carried out using a Bayesian approach that allows the identification of significant variables in the variance function, as well as averaging over all possible models in both the mean and the variance functions. The computation is carried out by a simulation method that is carefully constructed to ensure that it converges quickly and produces iterates from the posterior distribution that have low correlation. Real and simulated examples demonstrate that the proposed method works well. 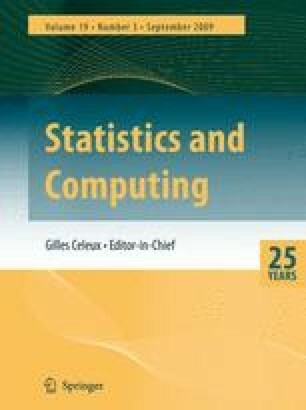 The method in this paper is important because (a) it produces more realistic prediction intervals than nonparametric regression estimators that assume a constant variance; (b) variable selection identifies the variables in the variance function that are important; (c) variable selection and model averaging produce more efficient prediction intervals than those obtained by regular nonparametric regression.